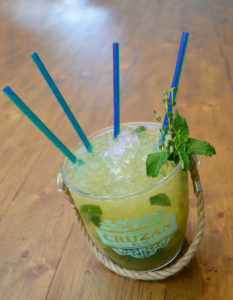 August is National Rum month, and in preparation, Cruzan has been working with top mixologists across the country to develop a handful of new cocktails, incorporating some of the top selling flavors for the brand including Coconut, Vanilla and the newest flavor that launched this summer, Tropical Fruit (which you can read our spirit guy’s take on here). Method: Combine all ingredients in a cocktail bucket or punch bowl and stir for 30 seconds with a swizzle stick. 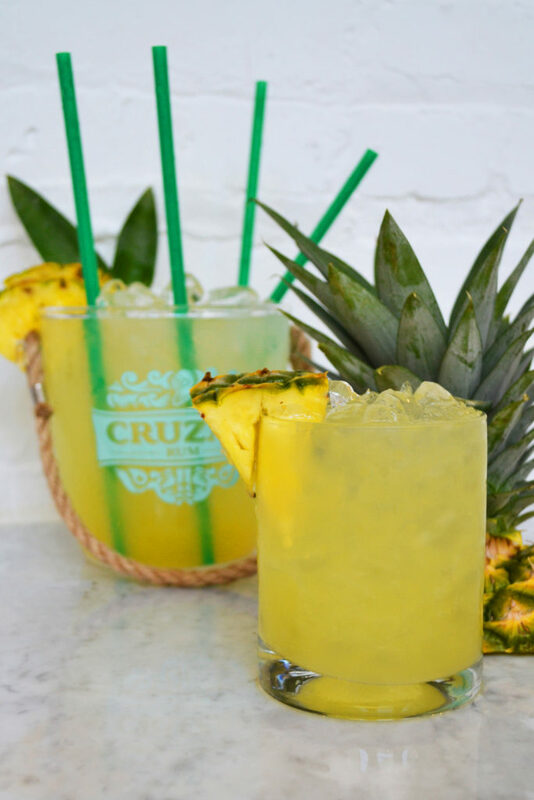 Fill bucket with fresh ice, stir once more and garnish with fresh pineapple, four straws, and enjoy! Method: Combine lemon juice, apricot simple syrup and pineapple juice into a cocktail bucket or punch bowl. Lightly smack 10 mint leaves and drop into the bucket along with 2 stems of thyme and muddle softly. Add rums, crushed ice and stir. Garnish with fresh mint, thyme and 4-6 straws. Enjoy! *Apricot Simple Syrup Instructions: Over medium heat, combine equal parts sugar and apricot juice. Stir until sugar has dissolved. Set aside and cool.